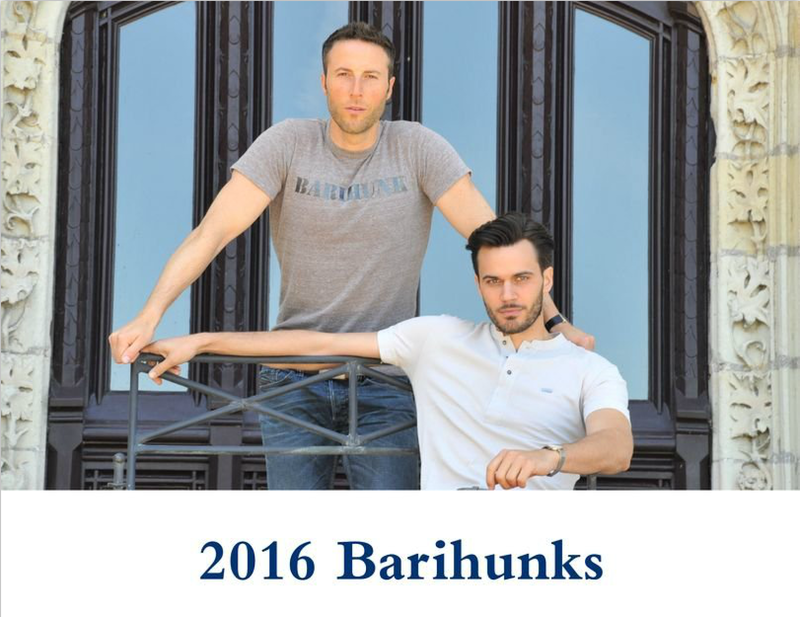 BARIHUNKS ®: Is Justin Tucker kicking around a singing career? Baltimore Ravens kicker Justin Tucker is becoming as famous for his vocal cords as his kicking leg. Back in September during a Monday Night Football game, he was featured in a Royal Farms Coffee commercial singing a java jingle to the Torreador Song melody. A music major at the University of Texas, Tucker claims he can sing opera in seven different languages (English, Spanish, French, German, Italian, Latin and Russian). 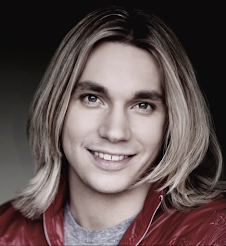 In October 2013, he showed off his Italian skills by singing "Deh vieni alla finestra" from Mozart's Don Giovanni for Dr. Pepper's "1 of a Kind" web campaign. 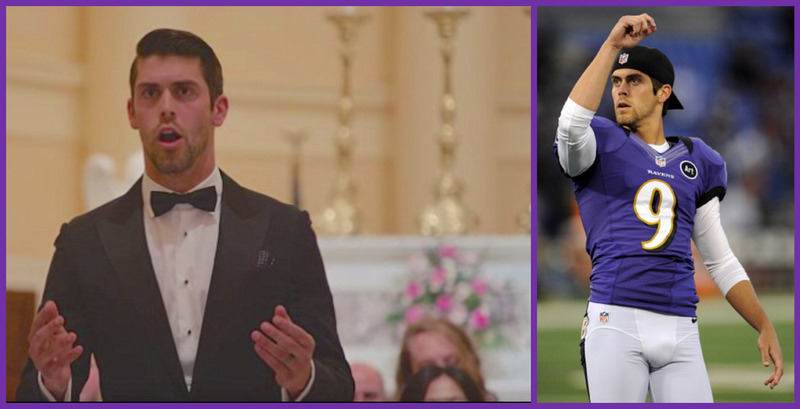 Last night he showed up as the special guest performer at Catholic Charities' Christmas Festival and sang Ave Maria at the Basilica of the National Shrine of the Assumption of the Blessed Virgin Mary in Mount Vernon, Maryland. Tucker, who began singing opera in college, was joined by the Concert Artists of Baltimore. He received a standing ovation from the full house. If the singing thing doesn't work out, he's probably pretty secure in his day job. Last December, Tucker became the first NFL kicker to kick a field goal in the 20s, 30s, 40s, 50s, and 60s in the same game. Tucker's 61 yard field goal in that game also set the NFL record for longest field goal in a domed stadium. He was elected to his first Pro Bowl to end the 2013 season and was also voted First Team All-Pro by the Associated Press. 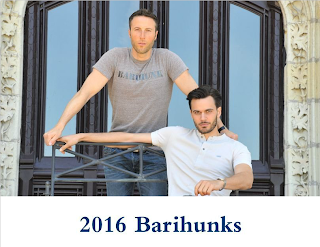 Time is running out to order your 2016 Barihunks Charity Calendar, featuring 18 of the sexiest men in opera. ORDER TODAY by clicking HERE (you won't regret it! ).